Over what period of time are you seeing the loss of air? Also as it's getting cooler, are you seeing this now that's it's cooler weather? As a general rule for every 10 degree drop in temperature there is a drop of 1 lb/psi. However my experience with low profile tires (I have Boxster) is that the loss of pressure is greater then 1 lb/psi per 10 degrees: I assume that is because of the lower volume of air in the low profile tires. On my E350 for every 10 degrees I lose a minimum of 2 psi: the Boxster 3 psi and the Ford Edge Sport between 1 and 2 lbs. Several years ago when we experienced a drop of 25 degrees overnight the warning light came on advising me of low pressure in all four tires. I have an air compressor and at this time of year I add air to my tires on a regular basis. I keep my tires 10% higher than the suggested pressure: I find little to no difference in the ride quality. On the other hand, gas mileage goes up 1 to 2 mpg. Old trick I learned many years ago driving trucks! Your experience mirrors mine. This is why I asked the OP if the weather has cooled where they are? I also inflate a tad higher. Thanks all for your input. Strange thing is that I had no issues throughout my first year. I think I'm just going to but an air compressor to inflate tires at home instead of running to the gas station. Any recommendations? I see a number of them on Amazon although I also see on one of their top choices some have had issues with the 12V plug in charger. Thanks again for replies. BTW, I had a worse problem with my prior BMW including many false alerts. Mine is real compressor (expansion tank) that runs on 120 volts Bought it several years ago at Sears. I think it was about $99 on sale. I have three cars and do not have the time to go to a gas station. Luxury yes - but worth every penny! I use an old (circa 1955) paint sprayer to keep my tires at the proper pressure. It also inflates pool toys, etc. It is very quiet. That's something I can't say about current compressors. I have something similar to that and it works well. Noisy little thing but it works. 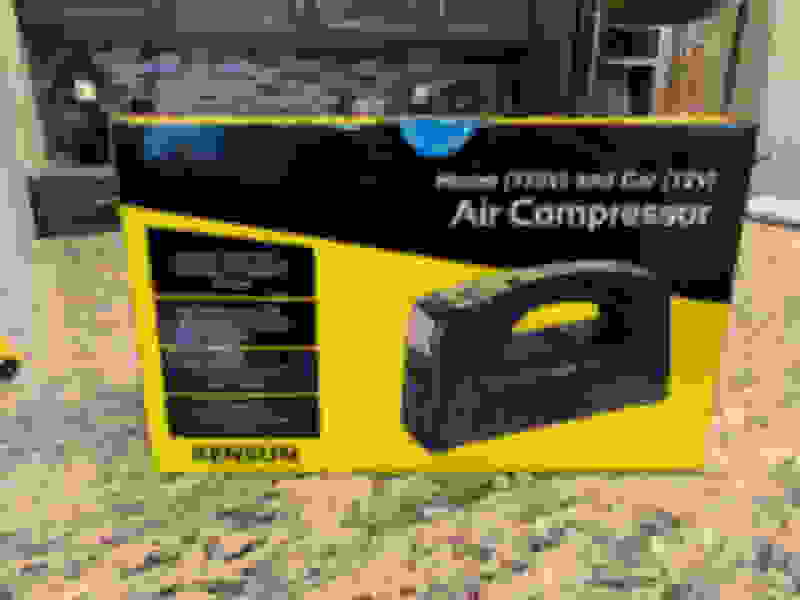 I recently purchased this portable air compressor from Amazon - works great. My Porsche came with one of those small compressors. They were OK for an emergency, but took forever to raise a tire pressure by 5 psi. Mine only takes about two or three minutes to raise the pressure 10 psi. My paint sprayer setup takes about a minute to put 5 psi into 245/45x18 tires. That's nice, but I don't think this is a competition about who can add air to their tire faster. LOL. Few, if any of us have circa 1955 paint sprayers!! The thing won't break and I can plug it into the 110v outlet in the E300. The one I ordered works with 110v or 12v. 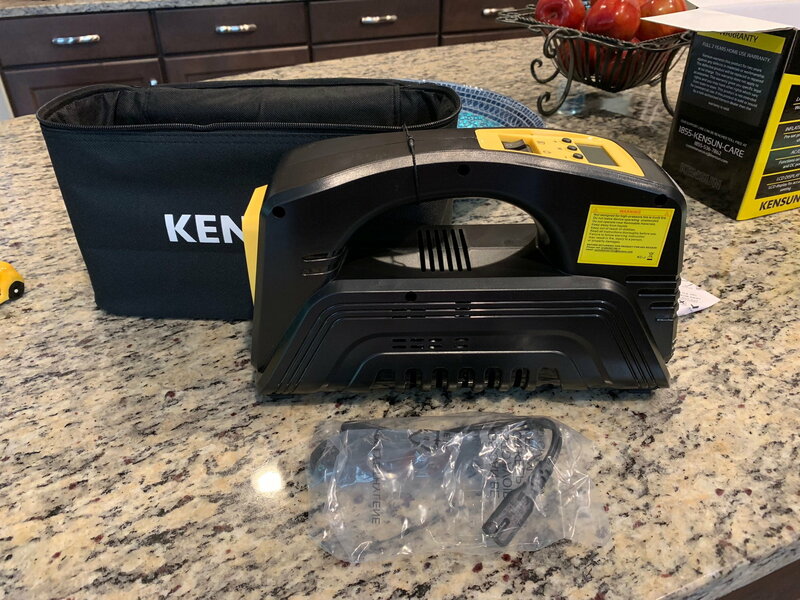 It likely won’t travel with me (though it’s portable) but will be used plugged into electricity in my garage. Things built in 1955 are the BEST!! I was born that year!! I just ordered the same one. Since I anticipate more problems in the cold weather, I wanted to inflate the in the garage. Since the 12 v require the car to be running, I wanted a 120v so I could stay in the garage, and this unit seems to fit the build. I actually bought one of these and find it works well for topping off everything from barn carts and pool toys to the horse trailer and everything in between. Easy to use. The hose treads on to the tire valve stem so you can set it and forget it. It's noisy, but for the price, I'll put up with it. For big task I have a compressor. I’m happy I’m not the only one who noticed tire pressure decreases. yesterday I decided to check just out of curiosity and noticed the pressure is down to 30 again! 2x putting 2+ lbs in the tires. I check tire pressures almost daily using the Service menu tires selection. You have to love Amazon Prime. I ordered this yesterday and it was just delivered. While I haven't tried to add air to a tire, I must say it's much quieter than I expected it to be. This one seemed to have the most reviews and they were very positive. I like that it's 12v or 120v operated. On my Ford Edge, only have to fill the tires once. On the MB, once every month.